The signing of accession papers allows Macedonia to take part in NATO ministerial meetings as an invitee. The conflict over the name with Greece had become a damper in its membership to NATO. With the conflict with Greece taken to logical end with the conclusion of Prespa Agreement, Macedonia has signed accession papers with NATO. Russia has raised concerns against Macedonia becoming part of NATO. Russia has accused NATO of destabilising the Balkans by pushing Macedonia and Montenegro to join NATO. Russia sees Balkan nations as its sphere of influence and is against NATO or any other body led by US or EU making inroads to these Balkan countries. NATO’s membership provides a guarantee of mutual defence, provides a welcome insurance policy against possible incursions. Russia perceives this as an attempt by the west to contain it by making inroads to the areas which Russia considers its sphere of influence. The use of the name “Macedonia” was disputed between the European countries of Greece and the Republic of Macedonia, formerly a state within Yugoslavia. After the declaration of independence of Macedonia from erstwhile Yugoslavia, the country named it as the Republic of Macedonia. The dispute was mainly due to the ambiguity in nomenclature between the Republic of Macedonia, the adjacent Greek region of Macedonia and the ancient Greek kingdom of Macedonia. Greece opposed the use of the name “Macedonia” by the Republic of Macedonia without a geographical qualifier such as “Northern Macedonia. Greece accused the Republic of Macedonia of appropriating symbols and figures that are historically considered part of Greek culture such as the Vergina Sun and Alexander the Great, and of promoting the irredentist concept of a United Macedonia, which involves territorial claims on Greece, Bulgaria, Albania and Serbia. Due to the conflict over the name, Greece vetoed Macedonia’s attempt to join Nato in 2008 and even blocked its EU membership ambitions. The opposition of Greece was so fierce that the United Nations was forced to refer Macedonia as “the former Yugoslav Republic of Macedonia”. After a lot of negotiations, an agreement was reached between Greek prime minister Alexis Tsipras and his Macedonian counterpart Zoran Zaev. The agreement is famously referred to as the Prespa Agreement. As per the agreement the Republic of Macedonia would be renamed as the Republic of North Macedonia. The language of the country would be referred to as Macedonian and its people known as Macedonians (citizens of the Republic of North Macedonia). The Parliament of Macedonia has passed the resolution to amend the constitution of the country to rename it as the Republic of Northern Macedonia. The opposition parties had boycotted the vote and the proposal narrowly got the two-thirds majority vote required for the constitutional amendment. Both Juan Guaidó and Nicolás Maduro have debatable claims to legitimacy. European Union, Australia, US, New Zealand have recognised Juan Guaidó, the opposition leader as the president. On 23rd January the leader of the legislature, Juan Guaidó, declared himself acting president and said he would assume the powers of the executive branch from there onwards. This was a challenge to President Nicolás Maduro, who had been sworn into a second six-year term in office just two weeks previously. President Maduro condemned this as a ploy by the US to oust him. Nicolás Maduro was first elected as President with a thin margin of 1.6 percentage votes in April 2013 after the death of his predecessor, Hugo Chávez. Nicolás Maduro was re-elected to the office of president for a second six-year term in highly controversial elections in May 2018, which most opposition parties boycotted. After being re-elected Nicolás Maduro announced that he would serve out his remaining first term and only then be sworn in for a second term. The National Assembly leader Juan Guaidó argues that because the election was not fair Articles 233 and 333 of Venezuela’s constitution empower the head of the National Assembly takes over as acting president under such circumstances. Juan Guaidó has staked the claim to be the acting president, as he was the head of the legislature. With the formal announcement by the United States about the withdrawal from the INF treaty, Russia has followed the suit and declared the suspension of the treaty. It was crucial Cold War-era treaty banning development, testing and possession of short and medium range ground-launched nuclear missiles with range of 500-5,000 km. The treaty was signed in December 1987 between then US President Ronald Reagan and his USSR counterpart Mikhail Gorbachev. The treaty banned all nuclear and conventional missiles, as well as their launchers, with ranges of 500–1,000 km or (short-range) and 1,000–5,500 km (intermediate-range). 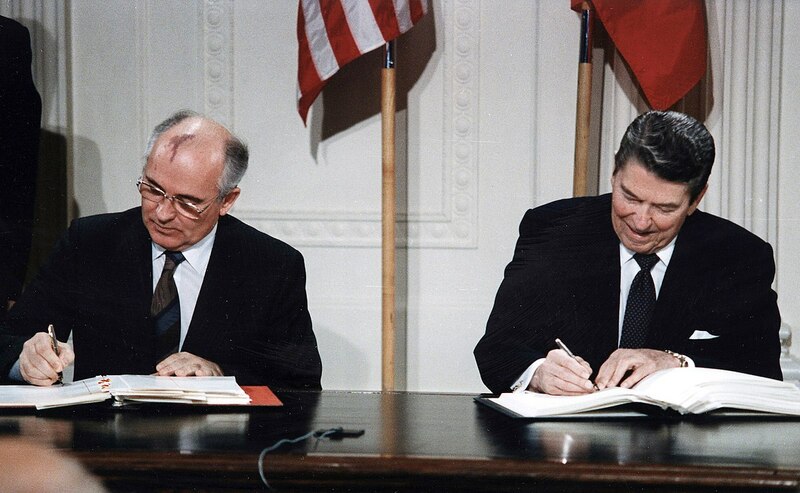 This treaty was central to ending arms race between two superpowers during cold war and protected America’s NATO allies in Europe from Soviet missile attacks. It was designed to provide measure of some strategic stability on continent of Europe. How the INF treaty aided in Diffusing Tensions? Due to the limited range, short flight times and unpredictable flight patterns, It was difficult to detect the short and medium ranges missiles. As a result, there was a threat of nuclear war in Europe which is sandwiched between Russia and US. The missiles were designed chiefly to fight a theatre nuclear war in Europe. It exacerbated crisis instability and increased the chances of an accidental nuclear war. Hence the destruction of these missiles under the provisions of the INF treaty was highly beneficial towards enhancing both regional and global security. US President Trump has alleged that Russia has violated treaty and has been violating it for many years. This violation comes after Russia’s alleged development and deployment of Novator 9M729 missile (also known as SSC-8), that could strike Europe at short notice. Accusations of Russia violating this treaty pre-dates Trump presidency and go back to 2008 during President Obama administration. Under former President Barack Obama raised issue of Russia testing ground-launched cruise missile with Russian President Vladimir Putin in 2014. But Russia had denied allegations and raised counter-allegations of the US installing missile defence systems in Europe. While two countries failed to find resolution using dispute resolution mechanism in treaty, US continued to remain party to treaty under pressure from its European allies. Both Russia and US would indulge in the development of these short and medium ranges missiles. There could be an arms race with EU joining the race as a third entity. Since these missiles are mobile, hard to detect, nuclear-capable and can reach European cities, they have hardly any warning time at all so they reduce the threshold for any potential use of nuclear weapons in a conflict. This would lead to instability and trust deficit. The deployment of IRBMs in Europe first became an arms-control issue in the late 1970s, when the Soviet Union began replacing its older single-warhead SS-4 and SS-5 IRBMs with newer and more accurate SS-20s, which could deliver three nuclear warheads apiece from a distance of 5,000 km. Mounted on mobile launchers based in the European part of the Soviet Union, the SS-20s could strike targets anywhere in western Europe in less than 10 minutes. One should note that under pressure from its western European allies in the North Atlantic Treaty Organization (NATO), the United States in 1979 committed itself to deploying two intermediate-range weapons systems of its own in western Europe: the Pershing II and the Tomahawk cruise missile. Mounted on mobile launchers, the Pershing II was an IRBM that could carry a single nuclear warhead a distance of about 2,000 km and strike within the vicinity of Moscow in less than 10 minutes. It is important to point out that the INF Treaty called for the progressive dismantling, over three years, of 2,619 missiles, about half of which were deployed at the time of signing. About two-thirds of the missiles affected were Soviet, and the rest were American. Further, each country was allowed to keep intact the warheads and guidance systems of the destroyed missiles. Also destroyed were missile launchers and various kinds of support equipment and structures. Teams of observers from both countries were given access to certain operating bases, support facilities, and elimination facilities in order to verify the withdrawal and destruction of the missile systems. 48 nation grouping that controls nuclear related exports. Setup in 1974 to counter India’s nuclear tests. What are the benefits of being an NSG member? NSG members can trade in and export nuclear technology. Members gets timely information on nuclear matters. Members contributes by way of information. What are the conditions of NSG membership? Membership of treaties like the NPT that require full-scope safeguards. Where does India stand against these conditions? India fulfils the above mentioned criterions but does not meet the last one. However, it should be noted that these are not mandatory criteria but only factors for consideration. India has maintained an impeccable non-proliferation record coupled with a strong commitment to controlling exports of nuclear materials, equipment and technologies. The exceptional waiver provided by the NSG in 2008 was an acknowledgement of India’s non-proliferation record. Why does India wants to become a member of NSG apart from above benefits? It will improve legitimacy of India’s nuclear programme and India can sign nuclear deal with more countries for civilian use. India will become an active member in stopping the proliferation of nuclear material . Will get more information about how much nuclear material is possessed by which country. 2 of its neighbour are nuclear state which threat to India’s security. Many countries have refused to signed civil nuclear deal with India because it is not a signatory of NPT or not a member of NSG. Eg. Japan. For India’s energy security Nuclear reactors are necessary. What is the status of India? India has sought NSG membership since 2008. As 48 member NSG works by consensus, not majority, India is reaching out to every possible country. Instead of signing NPT, India has to align its civil nuclear safeguards with NSG guidelines. There has been growing appreciation for Indian nuclear controls and capabilities since 2008. But, China supporting Pakistan’s membership in NSG. When NSG decides on India’s membership it would open the way for other non-NPT states like Pakistan and Israel as well. China says India’s accession to the Non-Proliferation Treaty (NPT) is pre-requisite for its membership to the Nuclear Suppliers Group (NSG) or else there should be a common guidelines for the membership of the non-NPT states. After India’s 1974 atomic test, China signed a nuclear pact with Pakistan in 1976, which facilitated the transfer of nuclear weapons technology and missile production capabilities to Pakistan in the 1980s and 1990s. In a violation of NSG guidelines, China has sold additional nuclear power reactors to Pakistan. China has now encouraged Pakistan to apply for NSG membership and complicate India’s own efforts. What is India’s response to China’s claim? France was included in the elite group without signing the Non-Proliferation Treaty. India says, if France could become part of NSG, then India Can. Why India did not join NPT? India was one of the founder member of disarmament movement. But when NPT got finalised, India opposed it due to its discriminatory nature. India supports nuclear disarmament which will be possible when 5 recognised nuclear states commit themselves to destruct their nuclear stockpile. But, NPT allows them to keep their nuclear stockpile. NPT only restricts proliferation of nuclear technology. So, as per India, NPT divides world in nuclear haves and have-nots, which India opposes. India has maintained an exceptional record in nuclear non-proliferation despite not being any under legal obligation. India had been an ardent supporter of complete nuclear disarmament in all major international floras such as NAM, UN etc. It has maintained a strong commitment to controlling exports of nuclear materials, equipment and technologies. After 1998 nuclear tests when India became a nuclear weapon state, India tightened its systems further by introducing new laws and for nearly a decade, has been a voluntary adherent to the NSG guidelines. It has been a voluntary adherent to the NSG guidelines for last one decade. India pledged to subject its nuclear facilities under IAEA safeguards and currently 14 out of 23 nuclear reactors are already under IAEA safeguard. Also, India’s need for developing nuclear weapons is not driven by any misguided agenda to pursue regional dominance or to strong arm neighbouring states, but by pragmatic realization of threat from China and Pakistan, both nuclear powered states, one communists and other failed democratic state in the immediate neighbourhood. India has also committed to the policy of no-first use. How India’s entry into NSG is good for the cause of non-proliferation? India has declared moratorium on the underground nuclear weapons testing which is in accordance with the spirit of NPT. This shows that India has abided by the non-proliferation rules even without being a party to NPT. India has carefully drafted its Nuclear Doctrine and has mentioned no first use, second strike capability and a policy of minimum deterrence at the core. This means India will not use its nuclear weapons unless it faced a nuclear attack. The development of INS Arihant and India’s Ballistic Missile Defence system shows that India believes in defensive strategies rather than first strike capability. India may be today restricted by its meagre uranium reserve, but it has the technical capacity to use its abundant Thorium reserves. It will not be long before India loses interest in joining NSG. That will be a blow to non-proliferation effort. The Framework on Currency Swap Arrangement for SAARC Member Countries was formulated with the intention to provide a line of funding for short term foreign exchange requirements or to meet the balance of payments crises till longer-term arrangements are made or the issue is resolved in the short-term itself. It was approved by the Government of India on March 1st, 2012. Under the framework RBI offers swaps of varying sizes to each SAARC Member countries depending on their two months import requirement, not exceeding US$ 2 billion in total, in USD, Euro or INR. The Union Cabinet has approved the amendments to the framework on currency swap arrangement for SAARC member countries. The amendments incorporate a standby facility of USD 400 million. This stand-by facility enables India to provide a prompt response to the current request from SAARC member countries for availing the swap amount exceeding the present limit prescribed under the SAARC Swap Framework. The agreement has enabled India to strengthen its ties with the SAARC countries together with improving financial stability in the region. This agreement also bolsters the credibility of India among the SAARC countries. Together with enhancing India’s economic influence in the region, the agreement strengthen regional integration and inter-dependence. 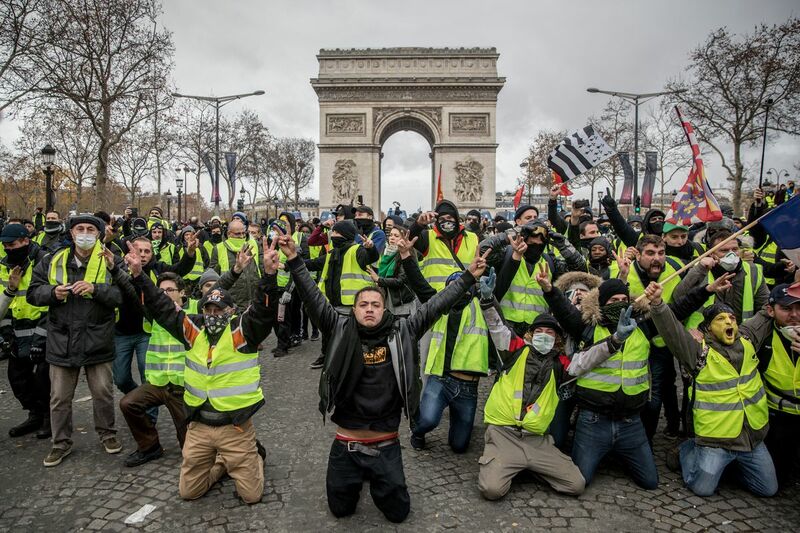 The protestors are referred to as Yellow Vests because they don the “Gilets Jaunes” (yellow vests), which the French drivers are required to carry in their cars. It is a leaderless movement which no reported structure or leadership to the movement. Though there is no consensus on the French media about why the yellow vests are protesting. Some report that the protesters are primarily angry about what they see as President Emmanuel Macron’s apparent indifference toward tough conditions for working people and for others the movement is evidence of a middle-class backlash. The increase of the taxes on the fuel provided an opportunity for the anger to outburst. The tax imposed by the government of France was in line with the pro-Green agenda espoused by Macron’s government. The government of France had already pledged to ban all gasoline-fueled cars by 2040. Is this an anti-green movement? US President Trump has linked the protests in France with Paris Climate deal. He said the protests are due to France’s commitment to the expensive and ridiculous Paris Climate deal. But the movement has avoided any explicit anti-Green stance and the Fuel taxes in France are not the highest in Europe and are actually lower than Germany. The workers feel they are squeezed by the government as only 20 per cent of the tax actually goes toward supporting the country’s transition to cleaner energy. The protestors see government as too technocratic and favouring the rich, ignoring the plight of the worker and the middle class. The rallying cry also includes an immediate increase in the minimum wage and pension benefits. The government of France has bowed down to the pressure and has suspended the proposed tax hike for six months. The government has even announced an immediate freeze on gas and electricity price. The announcements have failed to satisfy the protestor’s anger. They have vowed to continue their protest campaign dismissing the steps taken by the government as insufficient. US president has signed the ‘Asia Reassurance Initiative Act’. The law aims at countering the encroaching influence and growing threat from China, and to reinvigorate U.S. leadership in Asia. The act aims to establish a multifaceted U.S. strategy to increase U.S. security, economic interests, and values in the Indo-Pacific region. The act authorises the spending of $1.5 billion over a five-year period to enhance cooperation with America’s strategic regional allies in the region. Citing China’s illegal construction and militarization of artificial features in the South China Sea and coercive economic practices, the new law calls for countering China’s influence to undermine the international system. The act notes that increased presence throughout Southeast Asia of the Islamic State and other international terrorist organizations threaten the United States. The act recognizes the vital role of the strategic partnership between the United States and India in promoting peace and security in the Indo-Pacific region and calls for strengthening and broadening of diplomatic, economic, and security ties between the United States and India. The act calls on the U.S. Secretary of State, in conjunction with the Secretary of the Treasury, to justify the termination of U.S. support for any United Nations Security Council resolutions sanctioning North Korea or the lifting of any unilateral U.S. sanctions on North Korea. The act reiterates US commitment to all bilateral and security agreements and arrangements between the two countries, including the New Framework for the United States-India Defense Relationship, and the United States-India Defense Technology and Trade Initiative. Noting that designation of India as a major defence partner, which is unique to India the law states that the designation elevates defence trade and technology cooperation between the United States and India to a level commensurate with the closest allies and partners of the United States. The US Federal Reserve has raised the key interest rates to a range of 2.25 per cent to 2.5 per cent. This is the 4th raise in the Federal Reserve’s rates this year and has reached the highest point since 2008. The main implication of the raising of the interest rates would be an increase in the borrowing costs for individuals and businesses. The Fed has been raising the interest rates gradually as the US economy continues to strengthen. The Fed began tightening of the credit about three years ago and the current hike is the Fed’s ninth hike since then. Presently, the US economy is showing strength. The unemployment rate has gone down to 3.7 per cent which is a 49-year low. Consumers are spending freely which is the main engine of the economy. The economy has grown by about 3 per cent this year, which is the best growth rate of the US economy in more than a decade. But there are a set of challenges that the US economy is facing which includes Donald Trump’s protectionism and Trade war, slowing down of China’s economy, and Brexit. It is feared that the US economy might slow down in 2019 as the benefits of the stimulus fade away. The rise in US interest rates has started weakening the loan-sensitive sectors of the economy such as housing, autos. Additionally, the Fed has been gradually decreasing Treasury and mortgage bonds which is going to put more upward pressure on the borrowing rates for consumers and businesses. Iran earlier had several sanctions imposed on it by USA, UN and other western world. 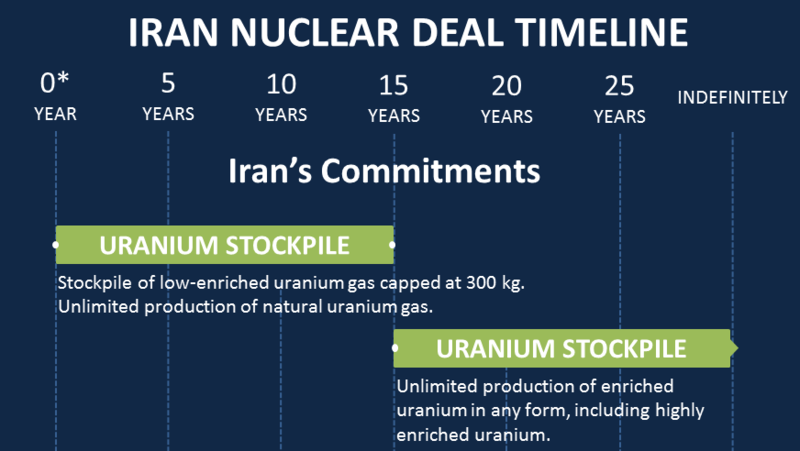 These sanctions were earlier removed because of P5+1 negotiations and after Iran’s agreement to reduce its nuclear fuel stockpile in phased manner. After Trump, US has imposed new sanctions on Iran unilaterally. What is India’s response to these sanction removals? India is keen on taking ties with this “extended neighbor” to a higher level. The removal of sanctions on Iran following the nuclear deal has ended its isolation, and enabled its return to the economic and diplomatic mainstream. The visit is expected to bridge the trust deficit in bilateral cooperation and boost energy and trade ties while expediting India’s connectivity plans. How did these sanctions impacted India-Iran relations? Bilateral ties took a beating during the sanctions years. India had voted against Iran at the International Atomic Energy Agency over its clandestine nuclear programme and, under pressure from the U.S., slashed oil imports from the country by up to 40 per cent during the period. New Delhi had also backed off from a pipeline project that aimed to bring natural gas from Iran to India through Pakistan. Why Iran is so important to India? Till sanctions were imposed on Iran, it was India’s second largest source of crude oil after Saudi Arabia. Once the Chabahar port in Iran is developed, it will offer India alternative access to landlocked Afghanistan, bypassing Pakistan. Both Iran and India share the goal of a stable government in Kabul free of the Taliban’s influence. Globally, New Delhi and Tehran are on the same page in their opposition towards groups like Al-Qaeda and the Islamic State. The Iran visit is an opportunity to restore equilibrium in India’s foreign policy, which, of late, was seen to be skewed towards Israel and Saudi Arabia. The government appears to be trying to reach out to the three poles of the region. 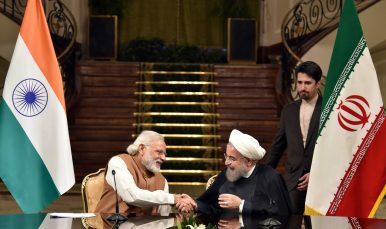 While it will pursue good ties with the Sunni Gulf for energy supplies, Iran would act as a gateway to Central Asia besides enhancing India’s energy security. Israel remains one of India’s top defence and technology suppliers. The success of this policy depends on New Delhi’s capacity to do the balancing act. Why and what new sanctions are imposed by US? Iran has conducted a ballistic missile test. The United States has imposed new economic sanctions against Iran over its ballistic missile programme and for contributing to regional tensions. According to US, Iran’s continued support to terrorism and development of its ballistic missile programme pose a threat to the region, US and its partners worldwide. Under the sanctions, those involved cannot have access to the US financial system or deal with US companies. They are also subject to “secondary sanctions”, which means foreign companies and individuals are prohibited from dealing with them as they also can be blacklisted by US. What is Iran’s response to these new Sanctions? The decision comes after US imposed toughest ever sanctions on Iran under Iran Freedom and Counter-Proliferation Act, 2012. This exception relates to reconstruction assistance and economic development for Afghanistan. These activities are vital for ongoing support of Afghanistan’s growth and humanitarian relief. It is also part US President Donald Trump’s South Asia strategy which underscores US’s ongoing support of Afghanistan’s economic growth and development as well as close partnership with India. This strategy states that India has major role in bringing peace and development in Afghanistan. It is officially called the Joint Comprehensive Plan of Action (JCPOA). It was signed between Iran and the P5, plus Germany and the EU in 2015. P5 is the 5 permanent members of the UNSC (US, China, France, Russia, and UK). The deal aimed at curbing Iran’s nuclear programme. Under the deal most of Iran’s enriched uranium was shipped out of the country. In return, the deal involved lifting of international sanctions on Iran. What happened after the deal? October 2015: Iran conducts its first ballistic missile test since the nuclear deal. The US accuses Iran of violating a UN Security Council resolution, but former President Barack Obama acknowledges that ballistic missiles are “entirely separate” from the nuclear deal. Jan 2016: The IAEA acknowledges Iran has met its commitments under the nuclear deal, which sees most sanctions on Iran lifted. It takes time but Iran re-enters the global banking system and begins selling crude oil and natural gas on the international market. Next day, the US imposes sanctions over Iran’s ballistic missile tests. October 2018: Trump announces he will not re-certify the Iran nuclear deal as required, criticizing the accord by saying it “threw Iran’s dictatorship a political and economic lifeline”. What are US’s present concerns? Trump administration says the deal did not target Iran’s ballistic missile programme. It does not focus on Iran’s nuclear activities beyond 2025. It also leaves Iran’s role in conflicts in Yemen and Syria.